35mm glass bottom dish, dish size 35mm, well size 20mm, #0 cover glass(0.085mm-0.115mm). Designed for high resolution imaging such as confocal microscopy. D35-20-0-N , request a free sample or get a quote. Quote: "Gels were fabricated in glass-bottom Petri dishes with a microwell diameter of 20 mm, overall diameter of 35 mm, and #0 cover glass bottom (D35-20-0-N, In Vitro Scientific, Sunnyvale, CA)." The CARMA3-Bcl10-MALT1 Signalosome Drives NF-κB Activation and Promotes Aggressiveness in Angiotensin II Receptor-positive Breast Cancer. 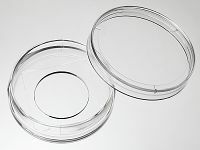 Quote: "130 BT549 and ZR75 cells were plated on glass-bottom 35mm dishes (D35-20-0-N, Cellvis)"
Quote: "Glass bottom dish: 35mm Glass bottom dish with 20 mm micro-well #0 cover glass (Cellvis, Mountain View, CA, USA, cat no: D35-20-0-N)." Yizhuang Zhang, et al., Oncotarget. 2017 Oct 10; 8(47): 82326–82343. Quote: "Monocytes were plated at a density of 2.5 ×106/ml in glass confocal dishes (D35-20-0-N, Cellvis)." Quote: "primary neurons were seeded onto a poly-l-lysine-treated glass bottom dish (In Vitro Scientific, D35–20–0-N) and transfected with GFP-LC3 or GFP-PARK2 as aforementioned." 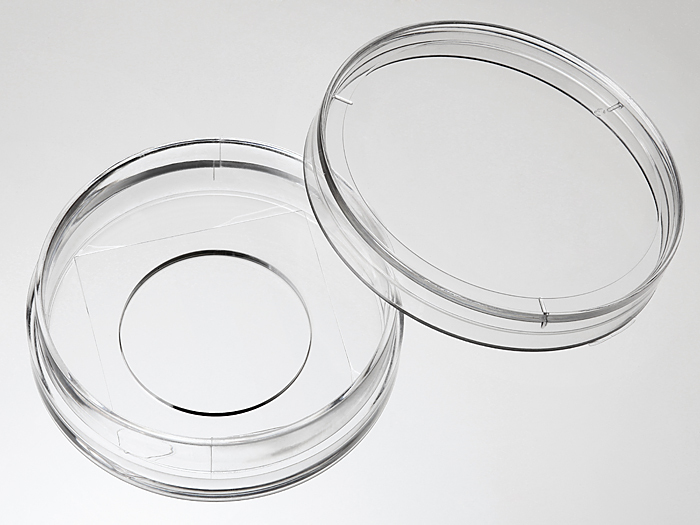 Quote: "SRA 01/04s were plated at a density of 150,000 cells/well on glass-bottom 35 mm2 tissue culture dishes (In Vitro Scientific, cat. no. D35-20-0-N, Sunnyvale, CA)"
Quote: "For live cell imaging, 35 mm glass-bottom dishes(D35-20-0-N, In Vitro Scientific) were seeded with 200,000 OVCAR5 cells 24 hoursprior to experiments"